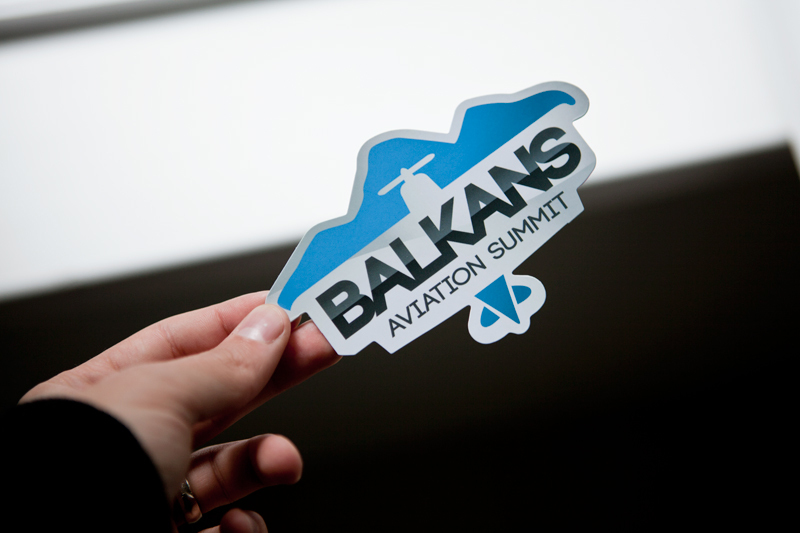 The idea of the Balkans Aviation Summit is to bring together pilots, aircraft owners and aviation enthusiasts from all Balkan countries. The Balkan Peninsula takes its name from the Balkan Mountains. Branding includes logo design, flyers, invitations, web design etc. The negative image in the logo illustrates an airplane. Blue slopes as the background represent the Balkan mountain slopes. The event is targeted to small private airplanes. That is why we chose an aircraft with a propeller. The composition of the graphic elements of the branding design easily fits in in any graphic environment. Its silhouette is perfect for a die-line. This is the flyer that we designed for the event. 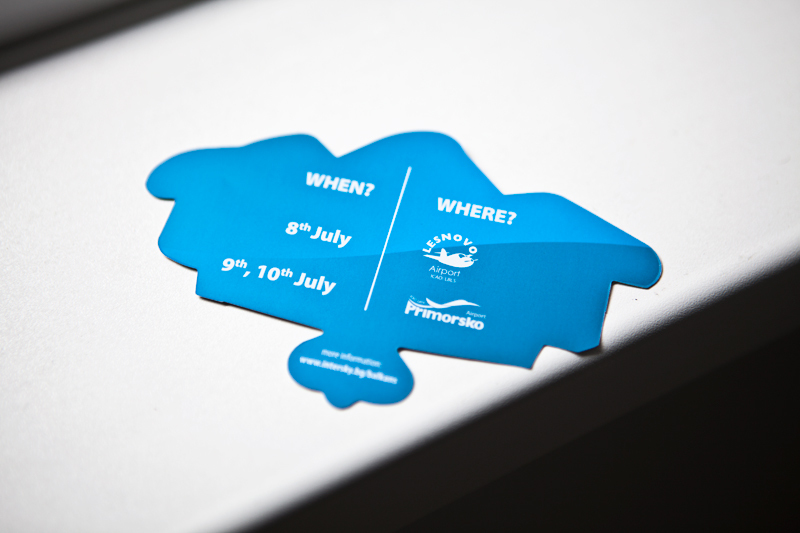 This is an invitation for the event in the same style. You can check what these guys are up to on their website, also created by our team. Materials from the logo design branding process.